Grizzlies captain Alex Newhook led the BCHL in scoring. The club seasons ended in bitter playoff defeat this week for Alex Newhook and Dylan Garand. But there could be a golden lining as now international play for Canada beckons. The Victoria Grizzlies’ standout centre and B.C. Hockey League MVP Newhook and Juan de Fuca Minor Hockey Association-graduate goaltender Garand, who plays for the Kamloops Blazers of the Western Hockey League, are among the 23 players named to Canada’s training camp ahead of the IIHF world U-18 championship April 18-28 in Örnsköldsvik and Umeå, Sweden. 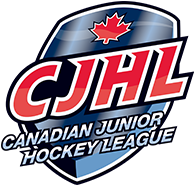 Since the world U-18 championship takes place during the heart of the Canadian junior playoffs, only players whose club teams have been eliminated can suit up for Canada. 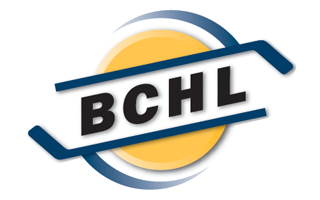 The Grizzlies were swept in four games by the Prince George Spruce Kings in the BCHL Coastal Conference final, while Garand and the Blazers were bested 4-2 by the Victoria Royals in the first round of the WHL playoffs. But that doesn’t make the invitation to the Canadian camp any less meaningful. Newhook, projected for the first round of the 2019 NHL draft, is the lone Junior A player named to the Canadian camp but is considered a lock. The other 22 players are from major-junior. “It’s a special opportunity, and best feeling in the world, to put the Maple Leaf jersey on your chest,” said Newhook, who won bronze over the winter with Canada West at the World Junior A Challenge in Bonnyville, Alta. Since everyone invited is a star on their club teams, playing on national teams means players have to accept different roles. “Accepting other roles is part of the challenge of playing on a national team,” added Newhook, a native of St. John’s, N.L. This is the precursor to the big prize — landing a spot on the U-20 Canadian team for the 2020 IIHF world junior tournament. “Playing in the world juniors has always been a dream of mine and this is a step in the right direction,” said Newhook. Garand will be battling Taylor Gauthier of the WHL’s Prince George Cougars and Jonathan Lemieux of the QMJHL’s Val-d’Or Foreurs for a spot in the crease on the Canadian team. The nine WHL players named include Garand and Connor Zary of the Blazers, Gauthier of the Cougars and potential 2019 NHL first-round draft-lottery picks Dylan Cozens of the Lethbridge Hurricanes and Peyton Krebs of the Winnipeg Ice. Also named were Kaedan Korczak of the Kelowna Rockets, Brayden Tracey and Daemon Hunt of the Moose Jaw Warriors and Braden Schneider of the Brandon Wheat Kings. The head coach is Brett Gibson from Queen’s University of U Sports. Hockey Canada staff will continue to watch the junior playoffs and can invite additional players to training camp before a final roster is named ahead of the world tournament. Players will gather in Kisakallio, Finland, from April 8-12 for five days of practice before heading to Sweden for two pre-tournament games — April 14 versus Belarus in Umeå and April 15 versus Russia in Örnsköldsvik. Canada, looking to win the gold medal for the first time since 2013, opens the world U-18 tournament against Finland on April 18 before pool games against Switzerland, Belarus and the Czech Republic, ahead of the the bronze and gold medal games April 28. TSN will broadcast 15 games, including all of Canada’s contests, all the quarter-finals, semifinals and the bronze- and gold-medal games.